Continuing from my previous post, here is the character study of Harley Quinn before I even started drawing the actual comic page. I actually needed to draw her out because Harley was given a totally new costume in the DC New 52 reboot and I didn't have a clue how it worked. 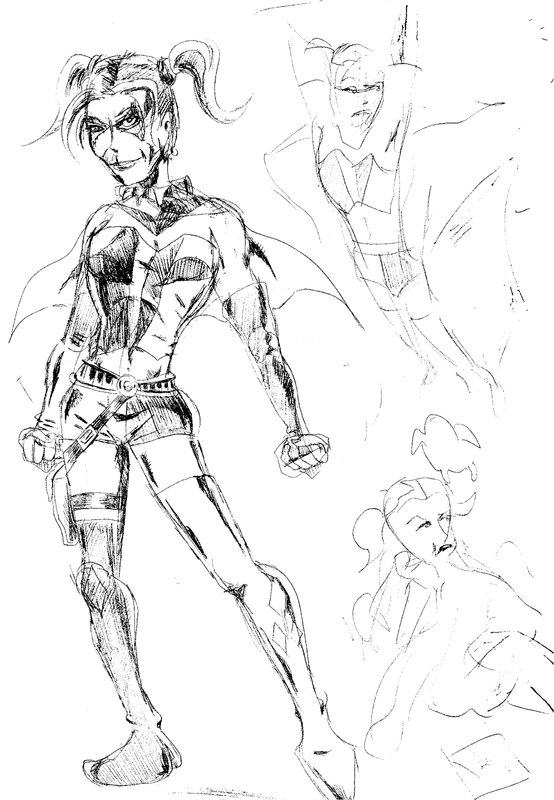 Note: there are some super rough sketches of Harley poses on the right side that resemble the poses in the final artwork. Unfortunately, my scanner didn't pick up on the pencils very well so it's a little tough to make out. This is all done in pencil. To be more specific, it is a mechanical pencil with .05 cm lead.